This gala and fundraiser celebrates the fifth anniversary of Design Museum Portland, which was founded by the creators of Design Museum Boston in partnership with members of the local design community (a third Design Museum, in San Francisco, has also since been established). Rather than occupying a brick and mortar home, Design Museum Portland, like its sister institutions, is an itinerant museum that not only saves on the nonprofit organization's rent costs but allows the museum to highlight and celebrate a variety of spaces. Through a number of ongoing initiatives such as its Design Museum Mornings talk series and its Street Seats design competition, the museum is focused on making a variety of design disciplines accessible to the public in a way that inspires a new generation of talented and empathetic designers. Halloween may have come and gone the day before, but in this season of pumpkin-spiced latte, attendees at Gala 5 are encouraged to wear cocktail-party attire Design Museum Portland's signature color: orange. Jupiter NEXT, 900 East Burnside Street. 6:30PM Wednesday, November 1. $125 ($100 for Design Museum Portland members). As part of the Fridays@4 lecture series from Portland State University's School of Architecture, faculty with the Center for Public Interest Design will discuss their community-engaged design work in Chamanga, Ecuador, and Sacramento, California. In collaboration with Munich University of Applied Sciences in Germany, and University of Tokyo, PSU students and faculty traveled to Ecuador in summer 2017 to help design and build the new Cultural Center Chamanga in response to the 2016 earthquake. The design process invited the local community to be part of the decision-making process. CPID students and faculty have also been engaged over the past several months in designing new light rail stations in the Dos Rios area of Sacramento, California, incorporating a variety of lighting, water-reclamation, and energy-efficient strategies into the design scheme, which includes spaces that transform into market stalls for local merchants to set up market stalls. Portland State University, Shattuck Hall, 1914 SW Park Avenue. 4PM Friday, November 2. Free. This annual fundraiser for Restore Oregon supports the nonprofit organization's mission to preserve, reuse, and pass forward the historic places that make our communities livable and sustainable. The winner of the annual DeMuro Award for historic preservation will be announced, as well as the Endangered Places list: a more dubious distinction that calls attention to demolition threats involving Oregon's historic architecture and spaces. The evening also includes a three-course dinner and raffle. Sentinel Hotel, 614 SW 11th Avenue. 5:30PM Friday, November 2. $150 ($125 for Restore Oregon members). 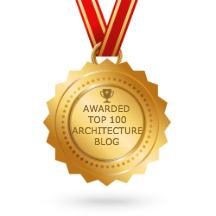 The local chapter of the American Society of Landscape Architects celebrates professional and student excellence by recognizing the firms, individuals, and agencies responsible for outstanding works of landscape architecture and environmental planning that promote an enhanced quality of life in Oregon and beyond. 2018 ASLA Oregon Design Awards recipients will be selected by a jury of esteemed professionals including landscape architect Scott Cataffa of San Francisco firm CMG, landscape architect Ying-yu Hung, of Los Angeles firm SWA, architect Thomas Robinson of Portland's Lever Architecture, landscape architecture professor Thaïsa Way, of the University of Washington in Seattle, and Pacific Northwest College of Art professor and visual artist Linda Wysong. Elysian Ballroom, 918 SW Yamhill Street. 5:30PM Friday, November 2. Ticket price undisclosed. The city's best architecture of the past year will be honored and celebrated at this annual American Institute of Architects gala. Featuring music from Soul Vax and a special tribute to Whitney M. Young, the civil rights activist whose speech to the AIA convention 50 years ago galvanized the profession in the wake of Martin Luther King Jr.'s assassination, the evening concludes with a series of design awards, including the top-level Honor Award, which last year went to the Portland Japanese Garden's Cultural Crossing project by Kengo Kuma & Associates with Hacker Architects. Jurors for this year's awards are all from Philadelphia: Karen Blanchard of SITIO, Jeff Goldstein of DIGSAU, and Jason Smith of KieranTimberlake. Revolution Hall, 1300 SE Stark Street. 6PM Friday, November 2. $85 ($40 for Associate AIA members, $25 for students). With a streetscape reminiscent of New York’s famed SoHo, Old Town contains one of the largest collections of cast-iron fronted buildings in the US, with most concentrated within the neighborhood near our famous Skidmore Fountain, comprising one of only three National Historic Landmarks in Portland (along with the Pioneer Courthouse and the Watzek House) and the only local National Historic District. Visitors on this Architectural Heritage Center tour will see the oldest standing buildings in downtown, while also learning about some of the city’s earliest architects and how cast-iron played a central role in their designs. Along the way, visitors will also learn about some beautiful but long-lost buildings while also seeing great examples of historic preservation. Tour meetup location revealed with ticket purchase. 10AM Saturday, November 3. $20 ($12 for AHC members). Perched high above downtown Portland, the King's Hill neighborhood is home to some of the most elegant residences in the city. At the beginning of the 20th century, Portland was the major metropolis of the Pacific Northwest, and many of the newly wealthy merchant princes of the city chose to live here. King's Hill is listed on the National Register of Historic Places and includes over 100 properties in the district. This Positively Portland walking tour will visit several of the finest examples of high-style architecture, designed by the prominent architects of the day. Tour begins at Starbucks, 2328 West Burnside Street. 1PM Saturday, November 3. $15. Energy Trust of Oregon and BetterBricks have partnered to offer this complimentary special training on ventilation best practices for design and installation in high-performance buildings. Training topics will include best practices for a range of building types; sizing, selection and specification guidelines; ventilation standards for today and the future; duct design and control options; and retrofit opportunities using high-performance heating and cooling. AIA Center for Architectxure, 403 NW 11th Avenue. 9AM Monday, November 5. Free. The Center for Public Interest Design at Portland State University's School of Architecture welcomes visiting professor Ipek Türeli for this talk, which will discuss what Türeli calls "small" architecture in a global context. The talk is based on Dr. Türeli’s article “‘Small’ Architectures: Walking and Camping in Middle Eastern Cities," published in the International Journal of Islamic Architecture. Dr. Türeli will also deliver this same lecture as part of the Fridays@4 series. Portland State University, Shattuck Hall, 1914 SW Park Avenue, Room 217. 12PM Wednesday, November 7 and 4PM Friday, November 9. Free. As part of the five-session Materials Matter series for assessing and selecting healthy, sustainable materials, itself part of the American Institute of Architects' national Materials Matter initiative, comes this third session, which focuses on understanding the concepts of and applying life-cycle assessment to evaluate environmental impacts. The session will provide guidance on current best practices for integrating the use of environmental product declarations and whole-building life cycle assessment modeling into building project processes. AIA Center for Architecture, 403 NW 11th Avenue. 8AM Monday, November 8. $140 ($100 for members of the AIA, the Construction Specifications Institute, the American Society of Interior Designers, the American Society of Landscape Architects, the Structural Engineers Association of Oregon, and the Structural Engineers Association of Washington; $60 for AIA Associate members; $30 for students). Minneapolis's Snow Kreilich Architects received the AIA’s 2018 Architecture Firm Award, and partner Matthew Kreilich will be the latest speaker in Portland Design Events' latest installment of its quarterly lecture series. Kreilich will to discuss the importance of context as a design generator for SKA's work and the studio’s obsession with detail and assembly to bring those ideas to life. Snow Kreilich’s work has been described as a “mutual intensification of both building and site.” Attendees can learn about their continuing exploration of architecture’s ability to transform and enhance one’s experience of place and the culture of the studio in which this occurs. As is custom, the evening will begin with a short presentation from a local designer, in this case Jeremy Spurgin of Outside Architecture. Ziba Auditorium, 810 NW Marshall Street. 6:30PM November 8. $15 ($10 for emerging professionals, $5 for students). Local filmmaker Cornelius Swart will be on hand to introduce and discuss his documentary, Priced Out: 15 Years of Gentrification in Portland, Oregon. The film is, as its website describes, "an investigative and personal look at housing discrimination and the pain of losing a community," exploring "how government policies and market forces that favor the rich work together to destroy and rebuild neighborhoods. And while many neighborhoods embrace new investment at first, few will be left standing once new money moves in and old residents find themselves increasingly priced out." Architectural Heritage Center, 701 SE Grand Avenue. 6:30PM Thursday, November 8. Free. Author Michael R. Adamson will be on hand to discuss his book, Oil and Urbanization on the Pacific Coast: Ralph Bramel Lloyd and the Shaping of the Urban West. The book tells the story of oilman Ralph Bramel Lloyd, a small business owner who drove the development of one of America’s largest oil fields. Lloyd invested his petroleum earnings in commercial real estate, in several western cities, notably Portland. Adamson shows how fossil-fuel energy is woven into the fabric of modern life, and how the “energy capital” of Los Angeles exerted far-flung influence in the American west. Architectural Heritage Center, 701 SE Grand Avenue. 10AM Saturday, November 10. $20 ($12 for AHC members). Before the electric streetcar made most of the east side of the Willamette River available for residential development, the area around Mt. Tabor and the present-day neighborhood of the same name was mostly farms, orchards and forest. In the early decades of the 20th century this neighborhood was built up with a blend of spacious and elegant Craftsman and Colonial Revival residences. On this Positively Portland Walking Tour, Eric Wheeler will lead an exploration of the historic residential fabric on the west slope of this iconic little local volcano. Tour begins at Stark Street Station, 6049 SE Stark Street. 1PM Saturday, November 10. $15. For this meeting of the local Construction Specification Institute chapter, architects from Portland's SRG Partnership will be on hand to discuss the firm's design of the new Multnomah County Central Courthouse. Designed in collaboration with New York's CGL Ricci Greene Associates, the 17-story courthouse, located along the waterfront beside the Hawthorne Bridge, will help transform the public’s perception and experience of the region’s justice system, making justice more transparent, open, and welcoming. SRG was chosen for the commission over architects and firms including Pritzker Prize winner Rem Koolhaas as well as Skidmore, Owings and Merrill. Construction is well underway and the 460,000-square-foot project is scheduled to be completed in 2020. Ecotrust, 729 NW Ninth Avenue. 6PM Tuesday, November 13. $40 ($30 for CSI members, $10 for emerging professionals, $50 for non-CSI members and $40 for CSI members if tickets are purchased after November 9). Portland continues to experience rapid population growth and increased development, as well as increased conversation around what that means for the future of our city. From the preservation of beloved bridge views to the loss of an iconic food cart pod to the redevelopment of landmark sites, the face of Portland is changing to accommodate our growth. What responsibility do we have to our past and how do we balance that history with the need for new construction? This meeting of the Society for Marketing Professional Services features a panel discussion with Dave Otte, a partner with Holst Architecture, which has designed a host of multifamily housing projects, and Iain MacKenzie, an associate at TVA Architects specializing in multifamily housing who also writes the Next Portland blog. Benson Hotel, Cosmopolitan Ballroom, 309 SW Broadway. 7:15AM Wednesday, November 14. $55 ($45 for SMPS members). Last month, the City of Portland’s Design Commission approved a series of alterations to the Wells Fargo Center, Portland’s tallest building. Dating to 1972 and designed by Charles Luckman, the building—originally known as the First National Bank Tower—has long symbolized both the ambition of midcentury modern commercial architecture in the United States as well as the folly of its fortress-like approach to urbanism. After the 40-story building was completed, it prompted our city to enact height restrictions. For some, this was a kind of alien spaceship that had landed: out of scale with the rest of the urban fabric and, in its unapologetic International Style heroism, possessing no sense of local architectural vernacular. Yet with the elegance of its marble cladding contrasting dark window frames, and the slender sculptural quality that comes from being a taller skyscraper, there is a kind of austere beauty to the Wells Fargo Center. Whether you love it, hate it, or feel indifferent, it’s a major component in our downtown skyline. That the Wells Fargo Center and its accompanying five-story data processing center building across the street (connected by a sky bridge) are being renovated to be more pedestrian friendly and full of light is not a surprise. After all, the building was sold last year, and the new operators see the value in modernizing the building to be more welcoming at street level as well as inside. Though the materials and forms of this building are compelling, it had its critics from the start, especially the nation's top critic of that time, Ada Louise Huxtable of The New York Times. “This tower will be tapered and rail-finned, with an accessory block-square box, in a manner that finally died unmourned in Detroit but that the Southern California sun seems to keep alive," Huxtable wrote of the Wells Fargo Center after visiting Portland. "In style, scale and impact it will be alien corn, in every sense of the word." “No one has stopped looking at the tops of these buildings long enough to see what is happening on the ground," she continued. "Each one is contributing to the devitalization of the city. Virtually all of them eliminate the life on the street. There is nothing on each square block on which these buildings rise- where there should be window, shops, pedestrian activities- but a corporate entrance and a parking garage." Some 46 years later, the Wells Fargo Center has aged well in the sense of building as sculpture. But it has continued to need a more human presence at the street level. 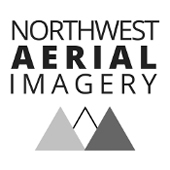 And the task has been handed to a new Portland firm, West of West. As it turns out, West of West's awarding of the commission is somewhat fitting given the principals' roots. Charles Luckman, the Well Fargo’s designer—who was a famous young business executive who once graced the cover of Time magazine before turning to architecture—was based in Los Angeles. That’s where West of West’s principals began their firm before relocating to Portland two years ago. Architects Clayton Taylor and Jai Kumaran are longtime friends who were students together at multiple universities as well as employees at some of the same firms. Both got their undergraduate architecture degrees from Cal Poly San Luis Obispo, then graduate architecture degrees from UCLA, where they were particularly influenced by a class taught by the great Thom Mayne, founder of architecture firm Morphosis and co-founder of Sci-Arc, the Los Angeles architecture school. Both Taylor and Kumaran went on to work for Morphosis after UCLA. I sought out Taylor and Kumaran first to learn more about their redesign for the Wells Fargo Center, but when I saw they had both been students and employees of Mayne, I got even more interested—not simply because Mayne is famous and talented, but because of the idea of Mayne and Luckman being tangentially tied through this project. Luckman was a leading voice in an era of big, corporate modernism of the Sixties and Seventies. He designed heroic landmarks like the new Madison Square Garden in New York, the Prudential Center in Boston, CBS Television City, the master plan for Los Angeles International Airport, and Aloha Stadium in Honolulu. Mayne, coming 30 years later, was an even bigger name in the deconstructivist architecture of the Nineties, breaking down those heroic forms into something less symmetrical and more messily complex. Make no mistake: Thom Mayne has nothing direct to do with the Wells Fargo Center’s renovation, but the mere notion of these two very different architects’ ways of looking at the world could be tied together in one building is at least curious. To me, it’s like having an Andy Warhol disciple weigh in on a Rothko painting. Yet saying it that way suggests I disapprove of this commission going to West of West, which couldn’t be further from the truth. I’m glad a small firm with mentorship from great architectural minds is tackling this landmark’s renovation instead of a bigger firm with lots of big-project experience but none of it great. Following is my conversation with Taylor and Kumaran about Wells Fargo, their careers and their firm. Portland Architecture: Your firm is designing renovations for two big office towers: the Wells Fargo Center and the PacWest Center. How would you characterize these buildings, especially Wells Fargo? Clayton Taylor: They were built for a certain era, when the pedestrian in the city was seen as a different kind of contributor. Wells Fargo, it literally has a moat around it. First National wanted to build a fortress. You get a building that was about keeping people out, which was fascinating. And they broke all these zoning laws to build the biggest building. Then there’s the Data Processing Building next door. Jai Kumaran: I actually like that Data Processing Building quite a bit. It’s a completely privatized building for an extinct technology. Taylor: It’s five levels tall. The top three stick out to the property line. The others form a stem underneath. There’s no lobby. So how do you humanize them? I see you’ve altered the canopy for the tower, changed its lower-level glass from shaded to clear, and made some more extensive changes to the DPB. Taylor: You’re inserting something that goes against the original premise, but it needs to happen to keep the buildings alive. Our interventions were surgical: to fit in and make it work, but reposition the building as much as we can. Kumaran: In the tower, the work is primarily on the interior. But on the data processing center building, that’s our biggest exterior intervention. We ended up asking, ‘What’s a way to create some enclosure without heavily modifying the building, and without cutting the building off from the street?’ So we’re wrapping the lower level in glass. Taylor: We took the mullion pattern on the tower and dragged it straight down. It gives the whole building a front door now. It becomes a whole frontage along Fourth with this grand stair that leads up into the building. A big set of stairs welcomes people in, so there’s a public lobby to approach the building. I think that’s how we won the project. We’re kind of reworking that lower bit to make it functional. Now it has this great contrast between contemporary office culture and this gorgeous midcentury building. The hope is there’s life around it. Could you talk a little bit about the journey you two have gone on that led to forming the firm? Taylor: When we started West of West, we were working in L.A. kind of more from our kitchen tables. When we moved here to Portland, it’s when we actually opened an office. But we had gone to undergrad together at Cal Poly, and we lived in Copenhagen together. Kumaran: That experience in Europe was a very formative. From there we both went to UCLA for grad school. We were in the super studio led by Thom Mayne. A lot of people thought they’d go to grad school with Thom and do shiny buildings. This was the opposite. In this program we produced a book called The Culture Now Project that really influenced our thinking about our own firm. The book is about how art and culture can influence and spark change within midsized cities in the US. Los Angeles, New York, San Francisco: they always have people looking at those cities. What about all the other cities? In the last 10 years, that attention has started to shift. Taylor: It shifted our thinking a bit in terms of where we wanted to work. Kumaran: It was really about locating a problem first, and then starting to talk about where to go from there. For us it was fascinating. So working on the book got you thinking about cities where you could do interesting work, and make an impact? Kumaran: Exactly. In LA we felt like we could be successful but we’d also be following a series of people we knew and tracing those footsteps. I felt like we felt we needed to strike out on our own and search for something else. But you still wound up staying in Los Angeles, at least for a time, because you both went from Mayne’s UCLA graduate class to working for his firm, Morphosis. How would you describe Mayne as a boss, as a teacher, or as an architect? Kumaran: I think he’s a very intuitive person. He’s a generation after Frank Gehry, but he was still embedded in that Venice ’70s art world. He’d print lithographs for artists. He didn’t produce significant buildings until the '90s. He was embedded in how you represent architecture. But that has now transferred into other things. Ultimately he’s a very intuitive architect on one hand. Thom is also a series of contradictions, I would say. On the other hand he’s all about systems and process. Taylor: For Thom, a building is artistic, but when you’re talking about it, it’s a machine, a mechanism. It’s putting very specific pieces of the puzzle together. There is artistic pursuit going on, but also an incredible technical pursuit. It inspired us. We may do something sculptural, but it has a formal quality. Thom is rolling all these contradictions into what he is. It’s not a simple sketch. It’s a very worked thing. And the rigor is very strong. Thom is known as a formal architect, but to him, it’s super systematic: this is the only way it can go together. It changes your pursuit of architecture a little bit. Thom creates a whole language of things that produces an architectural outcome. It’s not a Gehry expression. There’s a series of things you’re looking at: line, plane volume. I think he kind of helped me create this system that gives birth to a project. Kumaran: The reason for the systems was to have multiple systems, and then to overlay and overlap those systems. The result is something more complex than anyone could just design linearly from point A to point B. for Thom I think that’s a deep urban response. It’s a series of systems that have been built up and overlaid. They may not come from the same time or the same person, but it creates this rich and complex final product. A lot of architects might have been content to stay at a firm like Morphosis. What inspired you to set out on your own? Taylor: Friends would say, ‘Design this thing for me.’ A friend came through and wanted us to design this tiny interior project for an eyeglass store. We showed them a sketch, and it was like, ‘We start next week.’ Meanwhile the giant urban projects are taking years and years. Kumaran: At the time I was still at Morphosis, and working on the US embassy in Beirut. At that point it was 10 to 12 years out from completion. There was this radical shift in scale between working on something 1000 square feet for our friends and a million square feet for these firms. That became a foundational idea of our firm, and it still plays out today, going between projects like the Wells Fargo Center and the PacWest versus some of our smaller projects. Can you tell me about the firm’s name? Why not call it Taylor & Kumaran, or Kumaran & Taylor, like many would? Taylor: At first, we were working under that kind of very general name as a practice. We said, 'We really need to think about this.' There were a lot of discussions of what to name our practice, and at this point we had five years of work together. We were really into the idea of the west coast and how it was seen as this strange place on the horizon for the longest time. We found these great Teddy Roosevelt quotes from his time in California, saying, ‘I’m west of the west.’ There are even some old maps out there that depict California as an island. Kumaran: For us, West of West represents an idea. It’s something that can never be reached or achieved. Taylor: We liked that infinite search for something. It’s not about the end game. It’s always trying to find something. We consider all that we do an experiment. Looking through West of West’s portfolio, I enjoyed some of the firm’s competition entries, like the Desert Hotel and the ODOT Blocks. Can you talk a little bit about those? Kumaran: the Desert Hotel is outside of the Joshua Tree. We don’t typically do competitions, but one of our long-term fascinations is the whole land art movement. This proposal was taking a piece of Americana, the roadside motel, and cues from land art, mixing those and embedding our own sensibilities to produce something different. It’s at once recognizable and strange. Taylor: With ODOT on the east side there’s a great industrial heritage. How do you not copy it but play in that world a little bit? We took the loading dock typology and tried to mess with it. We split them down the middle. There would be a wood shop in one, a brewery in another. That central spine is big enough for a truck to drive through. At night it can become a public space, a place to gather for things like the Portland Night Market or the Portland Winter Light Festival. Having participated in the ODOT selection process through Prosper Portland, what do you make of how the city hands out commissions like these? Taylor: In Copenhagen, where Jai and I spent some time living early in our careers, all the architects have to build models for a competition like this and the public comes to see them. The public can really give feedback. It would be nice to see Prosper Portland dive into that. People love design here. There’s such a robust design community. In L.A. everyone’s too busy to go or care. Here there are good architects and people who care about space. Most of the firms in Portland I admire most share an ability to retain the essence of a project all the way through construction. What’s your process like? How do you get there? Kumaran: It starts with discussions. We try to involve everyone on our team. What are the ideas we can embed in the project that are going to be durable to last? What can survive the process and all the people who have to weigh in, from ownership to contactors to the city to the general public? You’re right: as long as we can clarify an idea and see it all the way through, we’ll see it as a success. Many of Portland’s most notable late 19th and early 20th century architects designed homes in the hilly King's Hill, a National Register Historic District, featured on this Architectural Heritage Center tour. The neighborhood is also known for its wonderful landscape architecture, serving as a gateway to Washington Park. Tour meets at the staircase near the entrance to Washington Park on SW Park Place. Tour meetup location revealed with ticket purchase. 10AM Tuesday, October 16. $20 ($12 for AHC members). Named a National Treasure by the National Trust for Historic Preservation in 2016, Veterans Memorial Coliseum is one of the most architecturally distinct arenas ever constructed. Completed in 1960 and designed by Skidmore, Owings and Merrill, what was originally known as Portland Memorial Coliseum offers a 360-degree view to the outside from its 12,000-seat bowl (when a curtain isn't lowered to block the view). Though more than twice the size of a Portland city block, it stands on just four columns. SOM's lead architect for the Coliseum, Myron Goldsmith, studied under both legendary architect Ludwig Mies van der Rohe, king of the elegant glass box, and Italian engineer Pier Luigi Nervi, one of the forefathers of Brutalism. The Coliseum's design, with a concrete bowl untouched by the glass box that surrounds it, thus marks a crossroads between two eras of modernist architecture, at a time when SOM, with masterworks like New York's Lever House, ranked among the foremost American architecture firms. Though the City of Portland has continued to delay the full-scale renovation the building needs, in 2017 a $2.5 refresh was completed, including a new scoreboard, a reconfigured entry, and new lighting, making this masterwork look better than it has in many years. This tour of Memorial Coliseum, presented by the Society for Experiential Graphic Design, will be guided by representatives of the City of Portland (the building's owner) and Merryman Barnes Architects, who carried out the refresh. A question and answer session will follow. Veterans Memorial Coliseum, 300 N Winning Way. 6PM Tuesday, October 16. $10 (free for SEGD members). The latest installment of this quarterly lecture series from the AIA's Center For Architecture, which explores the creative process of local architects, designers, makers and other creators, features architect Risa Boyer of Risa Boyer Architecture and interior designer Andee Hess of Osmose. Founded in Los Angeles in 2006 and relocated to Portland in 2008, Risa Boyer Architecture is a small full-service architecture firm in Portland specializing in modern, timeless residences and creative environments. Recent projects include the Makers Row mixed-use building and the Riverwood residence. Osmose’s work focuses primarily on hospitality, retail, and high-end residential design with an emphasis on custom furniture and lighting as well as collaborations with artists and makers. Local Portland projects Ava Gene’s, House Spirits Tasting Room, Q Restaurant, and Salt & Straw Division. AIA Center For Architecture, 403 NW 11th Avenue. 6PM Tuesday, October 16. Free. Art historian Mathijs Meinderts will lecture on De Stijl, a global art movement founded by Theo van Doesburg in 1917 in Holland that attracted legendary artists such as Piet Mondriaan. Mathijs will focus on the story of Gerrit Rietveld, an Utrecht native and architect of the famous Rietveld Schröder house. This is a Portland/Utrecht Friendship City cultural event. Meinderts studied art history at University of Utrecht and works with the Centraal Museum and the Rietveld Schröder house, both located in Utrecht. Portland Art Museum, Whitsell Auditorium, 1219 SW Park Avenue. 6:30PM Tuesday, October 16. Free. As part of Portland State University's “Disability as Diversity” month, the Transportation Research and Education Center welcomes Elise Roy, a deaf human centered designer, former lawyer, and motivational speaker who works in the vanguard of the disruptive innovation movement. Roy is a passionate proponent of the notion that when we design for disability, we often develop solutions that are better than when we design for the norm. A highly skilled public speaker, she has given talks at Microsoft, the United Nations and the World Bank. Her TEDx talk, “When we Design for Disability, We All Benefit,” has over 1.2 million views. Portland State University, Lincoln Recital,1620 SW Park Avenue, Room 75. 5:30PM Wednesday, October 17. Free. What does sustainable forest management entail? Does wood need to be Forest Stewardship Council-certified in order to be considered sustainable? How do Oregon’s laws compare to nearby states such as Washington and California, and to laws internationally? This latest installment of the Critical Mass (Timber) meetup group welcomes three forestry experts for a panel discussion: Eric White, a USDA Forest Service research scientist; Oregon Forest Research Institute director Mike Cloughesy; and a to-be-determined panelist. World Forestry Center, 4033 SW Canyon Road. 5:30PM Wednesday, October 17. Free. 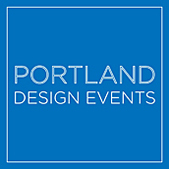 As part of the Portland chapter of the Construction Specification Institute's Learning & Libations series, Emily Ricker, a client services coordinator at Forensic Analytical Consulting Services, will speak about the properties of spores in construction and the health effects of exposurel spore standards and control measures for managing spores in construction; silica uses in construction, exposures and health effects; and state standards for silica exposure and control measures. Power + Light Building, 920 SW Sixth Avenue, Suite 1300. 5:30PM Thursday, October 18. $10 ($5 for students). While prefabrication, modularization and pre-assembly have been around for decades, they are becoming critical methods for delivering projects faster, safer and more cost effectively in a labor- challenged marketplace while leveraging the use of new integrated technologies and the increasingly blurred roles of designers and constructors. This three-hour seminar highlights critical issues and opportunities going forward. A panel discussion presented by AIA/Portland and moderated by engineer Steve Burrows of Cameron Macallister Group will also include Clayton O. Mitchell Jr. of Kaiser Permanente, architect Carrie Strickland of Works Progress Architecture, and Mike Labukas, Mortenson Construction. Questions for the panel include: What will offsite construction ask us to do differently five years from today? How do the concepts of offsite construction influence the role of the architect and the design process? What are the current limitations of the industry in utilizing offsite construction? University of Oregon, White Stag Block, 70 NW Couch Street. 1:30PM Friday, October 19. $35 ($15 for AIA Associate members and emerging professionals, free for students). Local non-profit WeMake presents this two-day design conference benefitting arts education for Portland’s under-served youth. Keynote speakers include Los Angeles visual artist Katie Ann Gilmore, Los Angeles visual artist and animator Tommy Perez, Philadelphia illustrator Loveis Wise, Portland musician Luz Elena Mendoza of Y La Bamba, Portland poet Soleil Hall, Portland poet Brianna Grisby, Broccoli magazine editor Anja Charbonneau of Portland, and Portland music mastering engineer Amy Dragon, among others. Portland Art Museum, 1219 SW Park Avenue, Mark Building Grand Ballroom. 5:30PM Friday-Saturday, October 19-20. $81. The writer and champion of pedestrian-based placemaking Jane Jacobs had a special relationship with the City of Portland over its evolution as a more diverse, mixed, walkable place. A frequent advisor to grass-roots activists in the city, Jacobs, author of the landmark Death and Life of Great American Cities, championed lively, diverse neighborhoods, and she championed citizen activism against powerful special interests, especially in her home town of New York. This even begins with a screening of the 2016 film Citizen Jane: Battle for the City, then will followed by a panel discussion with journalist Midge Pierce, Goose Hollow Foothills League president and sustainable development consultant Michael Mehaffy, Portland Planning Commission chair Rick Michaelson, and urban planner Heather Flint Chatto. What does Jacobs say to Portlanders, at a time when our fabled neighborhood association system is being deconstructed? The fact that this screening takes place at the Northwest Neighborhood Cultural Center may be fitting, for it's a place where progressive neighborhood action is needed. Its longtime tenant, the Northwest Children's Theater and School, could use a Jane Jacobs-like figure to stand up to the NNCC's Robert Moses-like figures who control the building. Northwest Neighborhood Cultural Center 1819 NW Everett Street. 7PM Friday, October 19. Free. Nestled in the hillside just above the west end of the Sellwood Bridge lies one of Portland’s hidden treasures, River View Cemetery. Portland's contribution to the 19th century rural cemetery movement was so successful it helped bring about the development of public parks in Portland and elsewhere across the nation. This Architectural Heritage Center tour will visit the final resting places of the rich and famous of 19th century Portland, exploring obelisks, monuments and mausoleums, all set within one of the city's most picturesque landscapes. Tour meetup location revealed with ticket purchase. 10AM Saturday, October 20. $20 ($12 for AHC members). Historic homes in Irvington, Alameda, and Beaumont-Wilshire comprise the Inspired By Family Home Tour, presented by Arciform (the architect for each of these renovations) and with all proceeds benefiting the Oregon Humane Society. The tour will be preceded a free Changing Family Workshop at The Old Church Concert Hall (1422 SW 11th Avenue) that will demonstrate how to design your home around diverse family needs. The tour itself includes a Georgian style home from 1937, a colonial revival-style house in Irvington from 1916 designed by acclaimed Oregon architect Ellis Lawrence, a colonial from 1911 also in Irvington, a Tudor cottage from 1929 in Alameda, and a colonial revival in Alameda from 1939. Following the tour at 6:30PM will a reception at Christiane Millinger Oriental Rugs & Textiles (2037 NW Lovejoy Street). Tour locations revealed with ticket purchase. 10AM Saturday, October 20. $20. The intersection of Foster Road and Holgate Boulevard in Southeast Portland has a history that spans the early settlement days to the Streetcar Era and Mid-century automobile-centric period of Portland history. Today there are signs of neighborhood revitalization in the commercial and residential sectors of this neighborhood also known as Mt Scott/Arleta. Join us for a leisurely stroll and exploration of this transitional Southeast Portland neighborhood. Recently, the Portland Bureau of Transportation's Foster Transportation and Streetscape plan has become a flashpoint of controversy in the neighborhood. Tour begins at Pieper Cafe, 6504 SE Foster Road. 1PM Sunday, October 21. $15. The Eastmoreland neighborhood is known throughout Portland for its undulating pattern of dense, tree-lined streets and landscaped yards. Once farmland, the housing in Eastmoreland was largely constructed between 1925 and 1940. Along this Architectural Heritage Center walking tour, attendees will see not only fantastic architect-designed houses in period revival styles, but also their popular, non-architect-designed counterparts. Tour meetup location revealed with ticket purchase. 10AM Tuesday, October 23. $20 ($12 for AHC members). The Oregon chapter of Architects Without Borders has agreed to design a master plan for the expansion of the Withergreen Foundation Nursery and Elementary School in Gardnerville, Liberia. All interested architects and designers are invited to participate in this charrette for this project. The chapter plans to form a project team from those who attend, but a commitment to the longer-term effort is not necessary for participation in the charrette. The non-profit Withergreen School is an existing institution currently serving 250 students in Gardnerville, a suburb of Monrovia, Liberia's capital and largest city. The expanded school will accommodate as many as 600 students on a campus that is situated a compact site in an existing neighborhood. The expansion will include additional classrooms, a community hall, library, science and IT lab, landscaped outdoor recreation space, community hall, and space for gardening and agricultural arts. AIA Center For Architecture, 403 NW 11th Avenue. 6PM Wednesday, October 24. Free. The latest edition of Design Museum Portland's Design Museum Mornings series features BRIC Architecture principal Karina Ruiz, who will discuss designing educational spaces. Ruiz has over 20 years of experience and has managed over a billion dollars in educational projects throughout her career. Her belief that education shapes the future of this world, drives Ruiz to ensure that teaching and learning objectives remain the team’s focus throughout each project. AIA Center For Architecture, 403 NW 11th Avenue. 8:30AM Friday, October 26. $10 (free for Design Museum Portland members). The University of Oregon's Portland Urban Architecture Research Lab hosts this conference, entitled "Migration, Refugees and Patterns." The conference provides a forum for researchers and practitioners from a variety of fields, as well as for a broader public, to come together to present and discuss areas of research and application in architecture, urbanism, media, arts, information technology, and social activism. University of Oregon, White Stag Block, 70 NW Couch Street. 9AM Friday-Sunday, October 26-28. $450 ($225 for students). It turns out that Lair Hill is not named for a hill. Named for pioneering Portland lawyer and newspaper editor William Lair Hill, this residential neighborhood and subject of an Architectural Heritage Center tour is one of Portland’s oldest. Lair Hill contains a fascinating mix of historic homes, along with notable buildings significant for their connections to the city’s early immigrant populations. It’s also a neighborhood that was impacted by urban renewal and freeway development. Tour meetup location to be announced. 10AM Saturday, October 27. $20 ($12 for AHC members). Have you ever wondered who lived in your house before you? Or maybe even who built it? What was your neighborhood like when your house was first built? How has it changed? Researching the history of your house can answer many of the questions you might have. In this Architectural Heritage Center workshop, Tibby O’Brien and Morgen Young will take attendees through the steps to uncover the history of one's vintage house (as well as most any other building). Using the latest online sources, local archives, and libraries, they will show that the process is not so mysterious when one knows what steps to follow and where to look. Architectural Heritage Center, 701 SE Grand Avenue. 10AM Saturday, October 27. $12 ($8 for AHC members). Explore downtown between the South Park Blocks and I-405, an area filled with iconic buildings as well as numerous lesser-known architectural gems. Attendees on this Architectural Heritage Center tour will see historic apartment houses, storefronts, cultural and religious buildings, and the remnants of what was once a thriving residential area, while also gaining an understanding of the impacts of development on historic preservation efforts. The West End has also become one of Portland's hottest shopping and restaurant destinations, and includes noteworthy recent projects like Lever Architecture's Union Way, Skylab Architecture's Blackbox building, and ZFG's 12 West tower, not to mention historic gems like A.E. Doyle's Central Library. Tour meetup location to be announced. 10AM Tuesday, October 30. $20 ($12 for AHC members). For a recent Portland Tribune column, I had the opportunity to visit the new Vermont 10 project in Southwest Portland's Hillsdale neighborhood. To me it's a nice little urban infill project in a part of Portland that is halfway between city and suburb, and not just geographically. Hillsdale isn't ridden with corporate restaurants and big-box retail, nor is Highway 10 running through the neighborhood too ridiculously wide. It has a lovely branch of the Multnomah County Library. Yet Hillsdale is one of the only places in town that's fairly close in that I don't quite feel comfortable biking to. And more importantly, it's a place of strip malls and single-family houses: the kind of low-density area that, because of its proximity to the city center, probably is destined to become more urban and more dense. Visiting the Vermont 10 project by Colab Architecture + Urban Design, I was reminded of a phrase mistakenly uttered in Back to the Future: "You're my density." In the movie, the character (George McFly) is trying to say, "You're my destiny," but misspeaks. I wonder if Vermont 10, a project laudable for the density it adds without sacrificing a human scale, is also Hillsdale's destiny, and the destiny of other close-in neighborhoods of single-family homes. It's not to say those single-family homes go away. I hope 95 percent of them stay. But we can't expect a single-family home to be right for everyone. While Vermont 10 is certainly not priced as affordable housing for low wage owners, it still contributes to Portland's overall density push and can help increase supply. As I wrote in the column, "In the coming years fewer people will live in single-family houses and more will occupy higher-density dwellings like duplexes, accessory dwelling units (ADUs) and apartment complexes. The challenge is to design and build higher-density housing that fits in to single-family neighborhoods without seeming cheap or out of scale." Vermont 10 was built on the site of a single-family house owned by the adjacent St. Barnabas Episcopal church, allowing room for five small duplex buildings, adding up to 10 three-bedroom units. Each features interior finishes like oak hardwood floors and energy-fficient triple pane windows. Yet as Mark Engberg of Colab told me in a recent interview, "It's about the community space first and then the architecture. The space between the buildings is the successful driver of the project." It's similar in that way to a prior Colab project, the Ankeny Lofts (and its second phase, Ankeny 2/3), in Southeast Portland, which were completed in 2014. "This all comes basically out of what we started on Ankeny, the idea of mews with duplexes on them and front doors, not big wide open spaces but little urban zones," he said. There are other things I like about Vermont 10, such as the relative economy of exterior materials and the clean lines of the overall forms. But sure enough, the best part is just walking down the little pathway between the units. It gives the sensation of being in a little urban village. Instead of one big mountain—a single building with 10 condos—it's a series of foothills. Instead of passing each other in the parking lot, you come together in a little outdoor room with a human scale. That said, the configuration of these clustered duplexes also contributes to the interior experience. "Most of these units have glazing and siding on three sides," Engberg explains. "Some have light on four sides. That makes for a nicer environment, and a little bit more expensive building. But because we stay within the residential code and stick framing, we can offset that cost. That’s what makes the units so nice: you’ve got tons of light." Natural light is to me the biggest determining factor in the quality of a multifamily residential space. It's not to say you can't have a lot of light coming from one or two sides of an apartment or condo, if it's small enough and the windows are big enough. My apartment gets light on two of its four sides, and except for the hallway and bathroom it works because every other space borders a sizable window. But there are no luxury finishes or extra square footage that could entice me to live in one of those bowling-alley-shaped units that often get built in larger condo and apartment buildings. Of course Vermont 10 is a series of duplexes, not a condo or apartment building. But perhaps it says something about the project that it's easy for me to refer to it in the same breadth. Its duplexes are closer in scale and materiality to single-family homes than they are to mixed-use multifamily residential buildings, but perhaps because they create a common infrastructure that's at a pedestrian scale, the brain makes the leap to thinking of Vermont 10 as urban. What the project really represents, though, is a kind of missing-middle housing. That's a phrase I hadn't even heard five years ago but is common parlance today: the idea that there needs to be a middle ground between single family homes and large mixed-use residential buildings. There are many types of this housing—townhouses, courtyard apartments, triplex and fourplexes in addition to duplexes—and yet we haven't built or allowed nearly enough of them in recent years. Vermont 10 isn't re-inventing the wheel, and it's just one piece of a much larger puzzle. But particularly as one imagines a future MAX line down Barbur Boulevard, perhaps neighborhoods like Hillsdale can show what's possible as Portland continues to grow and increase and density: to create dense spaces that feel tranquil and fit right in.